It can be quite frustrating to see your child keep waking up at night even though you know she is old enough to sleep through the night. Many parents want to know what they should do when their toddler won't stay in bed. Ideally, you should look for ways to help your toddler understand about ways to settle himself/herself back down – either by cuddling a transitional object, finding their thumb, and so on. Your toddler should be able to soothe himself/herself by this age but you may still have to pitch in and help them develop self-comforting skills. You may have been looking for answers and techniques to help your toddler stay in bed throughout the night. Some parents make their toddlers too dependent on external factors, such as music, lighting, etc., and toddlers look for these soothing factors when they wake up in the middle of the night. Do not let this happen to you and try other ways when your toddler won't stay in bed. Knowing about your toddler's schedule will help you determine if you are sending them to bed a little too early. They are likely to hop out of bed every few minutes simply because they are not tired. Do not send them to bed before 8pm if they take an afternoon nap. However, sometimes the reverse is true – your toddler fails to fall asleep because of overtiredness. If that is the case, send them to bed before 7pm. Understand that your little angle thrives on routine and a strong, consistent bedtime routine will really help him/her settle in and go to bed without an issue. Ensure that the routine is not too stimulating and whatever you select, you stick to it to actually make it a routine. If jack-in-the-box behavior is becoming common, you may consider trying a sticker chart. Ask her/him to place a sticker on the chart when she/he goes to sleep and put another one before breakfast in the morning. If after trying bedtime routine and incentives, your toddler won't stay in bed, you may want to this silent return technique. 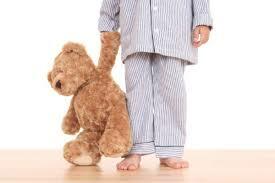 All you have to do is walk your toddler back to her/his bed when she/he gets out of her/his room. Tuck her in and leave. Make these interactions as boring as possible to make her feel discouraged and the chances are she will stop making repeat attempts. You may want to try this if your little girl has outgrown her babyhood cot. Let her adjust to the change and praise her when she stays in her new bed. If she does not cooperate, you may want to react calmly but firmly. Tell her she has to be in her bed because it is time to go to sleep. Tuck her in and leave. Consider installing a stair gate across her bedroom, so she could help herself instead of calling you to use the toilet. What Should You Do When Problems Arise? It requires patience when your toddler won't stay in bed, and there certainly are strategies you can employ to make things better. Sometimes, the strategies do not work and things become worse. Here are some additional moves you can make to resolve sleep problems and encourage your toddler to stay in bed through the night. Checking Routine: It is fine to go see your toddler when she is crying but you should do nothing more than patting her on the back and telling her it is time to sleep. Never cuddle her. Be sure to return to her room in five minutes to check again. Repeat until she falls asleep. You should gradually extend the time between each visit until there is no need to make her understand the importance of staying in her bed throughout the night. Door Closing: Be sure to maintain a regular pattern of nighttime and daytime sleep. Never let your little one set her sleep schedules. You may have to use a consistent bedtime routine to reinforce her bedtime, but this routine should not include holding her in your arms or rocking her. If things do not improve, you may tell her that you are going to close the door if she does not stay in her bed. The next step is to close the door for a minute. Increase the time if she does not respond positively. Controlled Crying: Your growing child may develop a need to make her own decisions. You have to acknowledge this fact and understand that letting her make some bedtime choices, like sleeping with teddies, wearing her favorite pajamas, or leaving on a room light, may actually help. If she still cries, you can try the 'door closing' technique. Just do not scold her or punish her for not behaving in the right way. Just be patient, stay calm, and follow the routine consistently to see positive results. Bedtime Routine: Stick to a bedtime ritual that is both comforting and supportive. Do not go see her every time she calls you; instead, tell her to go to sleep and mention how proud you are that she is doing it all by herself. Sometimes, you need to reassure her that her room is the safest place in the world and there is no need to be afraid of any imaginary problems. This will help her learn how to soothe herself back to sleep. Naps: Sometimes, your toddler won't stay in bed when she is getting too much sleep during the day. You have to ensure that all the naps she is getting are before 3pm, which will ensure that she is tired enough to go to sleep at night.